Living with an older generation is bound to have its challenges — like trying to work out why anyone in their right mind would stock their drinks cabinet with Campari, Babycham and sherry, or still think that hoarding tins of Spam is a good idea. For twenty-something Rosie, who lives with her grandmother Alice, this is certainly the case. However, Rosie is starting to notice that Alice is not quite 100%. It’s clear to the audience the elderly woman is beginning to lose the plot a little, gradually sliding into the depths of dementia. 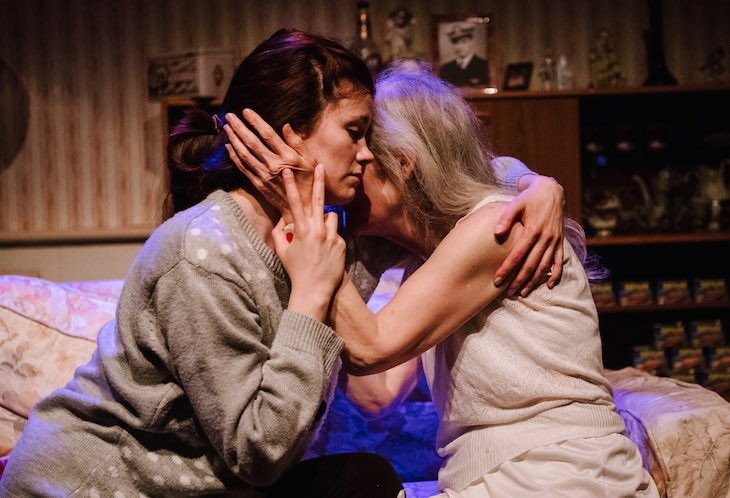 As sole carer for Alice, who spends the nights pacing the room and thinks that someone is stealing her bourbons, Rosie is pushed to her limits in treading the fine line between love and frustration for her declining grandmother. 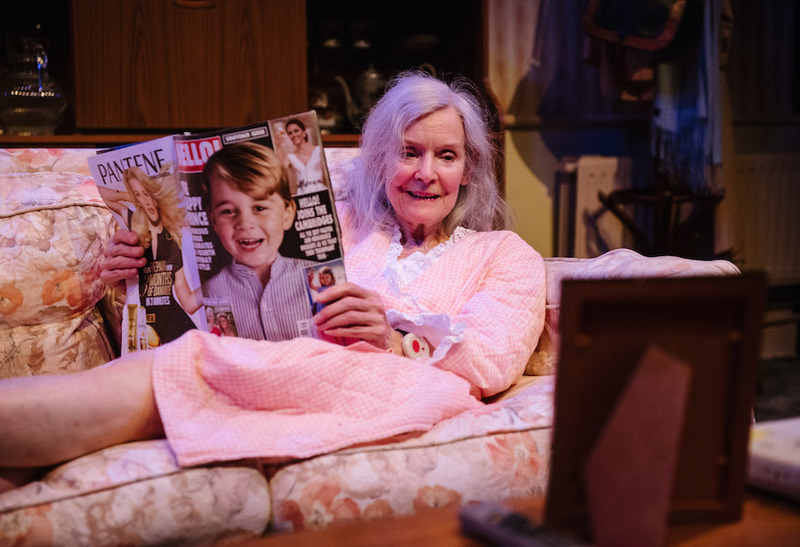 Mary Rutherford, who plays Alice, is stunning, totally embodying the ‘granny’ figure everyone knows, while peppering it with subtle clues as to her diminishing mental state. Louise Coulthard, writer of Cockamamy who also plays Rosie, is equally impressive. If you’re intrigued about the title, Cockamamy, it might just pay to watch the play, or alternatively tune in to a few episodes of countdown, as Alice does daily, an activity that puts weird and wonderful vocabulary into her repetitive life. Despite taking place within a single set, Alice’s living room, with minimal costume changes and a cast of just three, Cockamamy excels. What begins with a few saccharine lines, almost predictable and a little cringey, gradually develops into intense scenes of absolute despair. 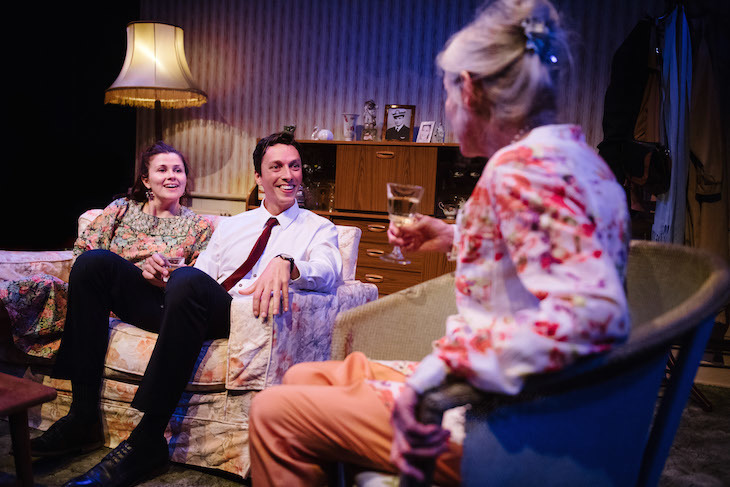 In just 75 minutes, Louise Coulthard’s play manages to produce tears in the majority of the audience, a sign of a production that really tugs at the heartstrings. Cockamamy, The Hope Theatre, above the Hope & Anchor pub, 207 Upper Street, Islington, N1 IRL. Tickets from £12, until 30 June 2018.